Father’s Day is just around the corner but there’s no need to panic if you’ve left things to the last minute – we’ve got everything covered. The roast is being prepared, the steaks have been marinated, the beer is ice cold, the wine rack is fully stocked and dessert is in the oven. Our chef has even created a very special Father’s Day dish just for dad. 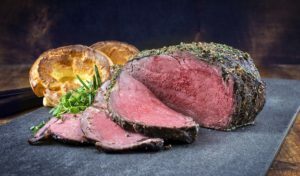 Book with us and make the most of ‘Dad’s own Roast’ – 24oz rib of beef, giant Yorkshire pudding and all the trimmings. All that’s left for you to do is book a table. Give us a call on 01753 859 658 or head to our website and book online. Hurry though, places are limited!